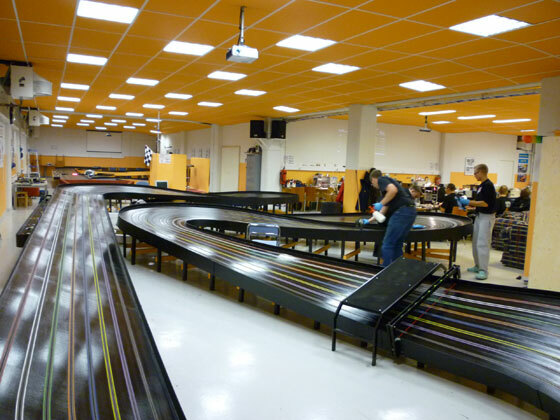 Just a few weeks after the ISRA worlds the Finnish Wing car Championships was held at the same location on their fast King track. Not being there before I was surprised over the size of the place. Leo Hongisto picket me up at the airport and when I arrived on Friday afternoon it was no time to waste and I went quickly into testing the few G-27 motors I had and then I went into the G-7 motors quickly since we started the G-27 race at 7 pm that evening. It was a field of nine drivers (round robin all in the main) which suited me fine since I had not driven for a long time and really needed to have cars around me. Jari Porttinen took the lead in the first heat and held it on to victory. André Eriksson drove to a second place and I came into third place. After BoxStock12 the G7 OMO (one motor open) race was held. 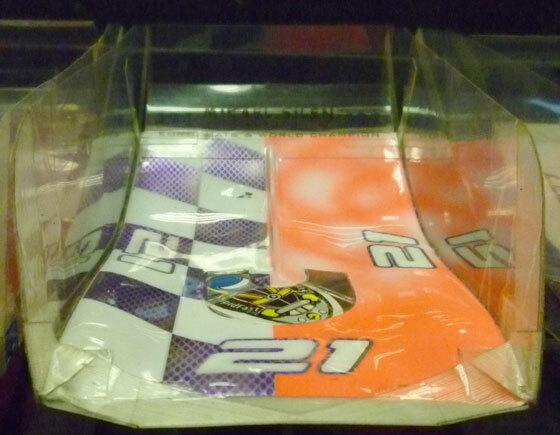 From qualifying drivers were put into three main finals with the top qualifiers in the A and the slowest in C.
The A main was, of course, the quickest and there it looked like Jyri Ville Pouttu was going to win but in the middle of the last head, while in lead, his motor gave up and the Leo Hongisto quickly passed him. Leo Hongisto won ahead of Per Persson and Jyri-Ville Pouttu. After G7 OMO there was some praxes and then the G7 qualifying for the main race was driven. With 17 drivers 9 drivers were moved directly into semi-finals and the 8 rest had to fight for seven spots. The unlucky driver was Per Persson who got eliminated from the Sunday racing. After the two semi-finals on Sunday the main started. When the first heat was run it was Mikael Silén who had taken a lead in front of Leo Hongisto. Mikael ran into a lot of crashes in the third heat and broke three axles! in one heat. The race was won by Juha Yli-Sipola in front of Jari Porttinen and Petteri Pirhonen. Race results and a lot of really good pictures can be found at the autorataharrastajat.fi site here.